Ashley Capes teaches Media and English in Australia. Besides his novels, he also writes poetry. Ashley occasionally dabbles in film, is addicted to 80s cartoon shows and Studio Ghibli films, and finds himself constantly awed by the simple beauty of haiku. 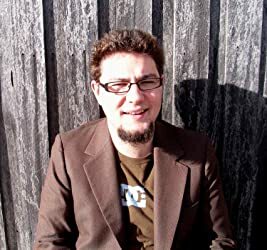 You can read his poetry at his website and his fiction at his novels’ website. You can follow him on twitter. CLICK HERE FOR MORE TITLES BY ASHLEY CAPES. The Bone Mask Trilogy — (2014-2016) Publisher: Waking in Anaskar Prison, covered in blood and accused of murder, nobody will listen to Notch’s claims of innocence until he meets the future Protector of the Monarchy, Sofia Falco. But Sofia has her own burdens. The first female Protector in a hundred years, her House is under threat from enemies within, the prince has made it clear he does not want her services and worst of all, she cannot communicate with her father’s sentient mask of bone, the centuries-old Argeon. Without the bone mask she cannot help anyone — not herself, and certainly not a mercenary with no powerful House to protect him. Meanwhile, far across the western desert, Ain, a young Pathfinder, is thrust into the role of Seeker. Before winter storms close the way, he must leave his home on a quest to locate the Sea Shrine and take revenge on the people who drove his ancestors from Anaskar, the city ruled by the prince Sofia and Notch are sworn to protect, whether he wants their help or not. 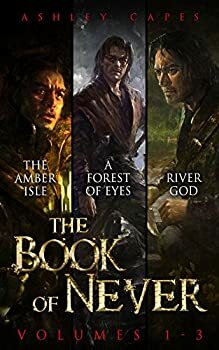 Whenever I see the words "book one" or "first in a series" on the cover of a book, I'm always a little leery about whether or not it's going to end on a cliff-hanger. There's a difference between a trilogy that's essentially just one story divided into three parts, and a trilogy that's composed of three relatively self-contained tales. As the first in THE BONE MASK TRILOGY by Australian poet Ashley Capes, City of Masks is enough of its own story to leave you satisfied, with just enough plot-threads left over for the next book to continue. So if you're like me and have an aversion to cliff-hanger endings, rest assured that you won't find one here. The Lost Mask is book two of THE BONE MASK TRILOGY by Ashley Capes, set in a world that has as its most notable feature the existence of sacred bone masks that allow the wearer to communicate with mysterious god-like entities. From them derives the trilogy's name, and it makes for an intriguing concept that provides a doorway between the material and spiritual realms; worldly politics and numinous mystery. 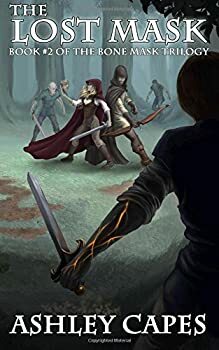 As in the previous book, City of Masks, the story is spread across three distinct plot-strands, though unlike its predecessor, the scope of The Lost Mask expands to include more subplots, locations and characters. 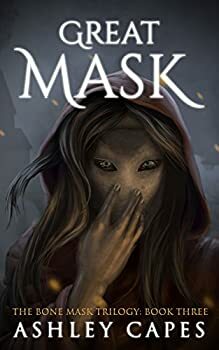 Greatmask (2016), the third and final book in Ashley Capes's BONE MASK TRILOGY successfully brings each character's arc to a satisfying conclusion and wraps up all the disparate subplots — while still leaving room for the promise of new adventures on the horizon. Anaskar has been invaded by the blue-cloaked Ecsoli; they now control all three tiers of the city, from the seaside docks to the lofty palace where King Oseto is held captive. Would-be rebels hide in the back alleys and taverns, slowly building up a resistance and waiting for an opportunity to fight back. Among them is Flir, whose preternatural strength seems useless against the powers of the Ecsoli, and who doesn't know who to trust among her own people. Never is a man with a magical gift and a history that's as mysterious as his name. Hunted by the soldiers of ruthless Commander Harstas, Never is known for having blood with an usual trait: every time it mingles with that of another person (usually in combat situations), he takes on their memories, personality, and — at the start of this story — any illnesses they might carry. Now struck with a strange fever that he can't seem to break, Never's ongoing quest to find answers to his condition and his past is endangered by the vulnerable state he finds himself in.